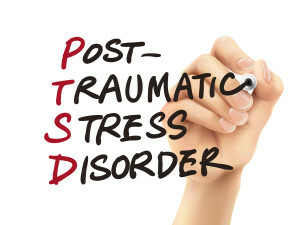 This past April, I was diagnosed with Post Traumatic Stress Disorder (PTSD). I consider the diagnosis to be one of the best things that ever happened to me. I actually feel like going around telling everyone about it! And, because so many people have a limited view of what PTSD is, I want to tell you how this diagnosis has helped me, and how it can possibly help you too. The short version of my story began with a two-year period during my childhood that began with sexual abuse (including a poor handling of the revelation by relatives). It continued with my enduring bullying both physical and psychological at a new school, and ended with my father’s death from a heart attack. (For the record, it was not my father who sexually abused me. However, as is typical, my abuser was an adult male known to my family.) Today, my underlying belief, shared by many with PTSD, is that the world is an unsafe environment. Because of this deeply-rooted feeling, I have developed a number of coping mechanisms and behaviors that make sense to me, but not necessarily to anyone else.. For example, I have a certain protocol that I follow whenever I arrive at a new place. I try to position myself in particular ways in any room. I found out recently that nearly everyone who has PTSD does similar things. Post-Traumatic Stress Disorder (PTSD) refers to a set of adaptive behaviors that stem from a traumatic event or set of events. A trauma could be a small event like falling off a bicycle, or large event like being in or near the World Trade Center in New York City on September 11, 2001. Traumatic events can be random, like a chunk of masonry falling off a building you’re passing under, or they can be premeditated and wicked like physical or sexual abuse. Popular media often describes PTSD as it relates to troops in combat. Our honored veterans have often been encouraged to pull themselves up by their bootstraps and carry on as if their conditions are “not that bad,” while they remain frozen and unable to gain the help they (and their families) need. The behaviors range from nightmares or flinching at ordinary things like soda cans or joggers, to full-blown aggressive actions including shouting, hitting, and in extreme cases, attacking with a gun or knife. The symptoms can last for years, and many feel trapped in an overwhelming vortex of fear with no way out. The brain has a really good reason for behaving like this: when we experience trauma, our brain and nervous system refuse to forget its impact and will actively push us to avoid similar circumstances. The important thing to remember is that this reaction is a normal and expected part of keeping our bodies alive and safe. For those individuals suffering from post-traumatic stress, leading a normal life can be difficult given the brain’s reaction to trauma. And, because reactions to traumatic events are actually typical and expected, some therapists are pushing to change the last word in PTSD from “Disorder” to “Syndrome.” This designation is considered to be more appropriate because a syndrome is a collection of symptoms,where a disorder refers to something that is assumed to be broken. It is unsafe for me to be visible. It is unsafe for me to be successful. It is unsafe for me to attract any kind of attention. No one can be fully trusted. And various other, equally limiting beliefs. From these beliefs came equally limiting behaviors, many of which I’ve successfully changed little by little over the last 15 years. Now, with the help of this diagnosis, I have a new perspective, light shines into my unconscious habits, and I can be freer faster.